Georgette Baker is a certified teacher, speaker of 5 languages and world-traveling performer. 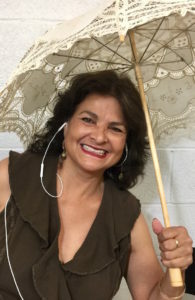 Producer of the children’s bilingual book and CD series CANTEMOS, Georgette has been performing for children exclusively for the past 20 years. 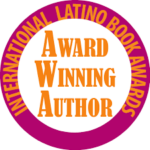 Her abounding enthusiasm for her unusual artifacts and creatures, which she shares in her assemblies, she enlivens the stage with her “cuatro”, a Venezuelan stringed instrument, and the Latin rhythms of her guitar, her contagious laughter and her exaggerated storytelling techniques. Get in touch with Georgette using the form below.